ICAMS researcher Georg Madsen from the Computational Materials Design group together with the ALMA consortium have been awarded €3.26 million by the European Commission for the EU HORIZON 2020 project "All predictive design of heat management materials and structures" (ALMA). Heat management constitutes a grand challenge that blocks further development in disciplines as varied as nanoelectronics, power devices, phase change memories, high temperature turbines, or thermoelectric energy conversion. Further progress requires the help of accurate modeling tools that can predict the performance of new complex materials integrated in these increasingly demanding novel devices. ALMA was launched in June 2015, and is funded by the European Commission through the Horizon 2020 – Research and Innovation Framework Programme, for a three year duration. Project partners are CEA-Grenoble (France), Ruhr-University Bochum (Germany), Silvaco Europe Ltd. (U.K.), Johannes Kepler University (Austria), AIXTRON (Germany) and ST microelectronics (Italy). 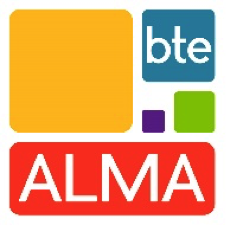 ALMA is a HORIZON 2020 project.